We’d love your help. Let us know what’s wrong with this preview of Wishmaster and Other Stories by Peter Atkins. "Wes Craven presents 'Wishmaster,' written by Peter Atkins." The poster campaign for this Hollywood film credited the writer alonside the producer. "Wishmaster" became America's most successful independent theatrical feature of 1997. So here is your chance to read the original screenplay and to let your own directorial imagination work on the script. And alongside his imaginings for Hollywood, Peter Atkins writes short stories where genres overlap, and he sidesteps our expectations with a smile. In this collection he shows us: the strategies of a man for dealing with his fear of flying; how dangerous it may be to challenge the power of old fairy tales; the saturnine Doctor Arcadia at his work; and how a man may react to the shock of a new possession. To ask other readers questions about Wishmaster and Other Stories, please sign up. Peter Atkins was a founder member of The Dog Company, a 1970s avant-garde theatre group, along with Clive Barker and Doug Bradley- with whom he would later work on the Hellraiser movies. As well as his film and television work, he is the author of the novels Morningstar, Big Thunder, and Moontown, and the collections Wishmaster and Others, and Rumours of the Marvellous. 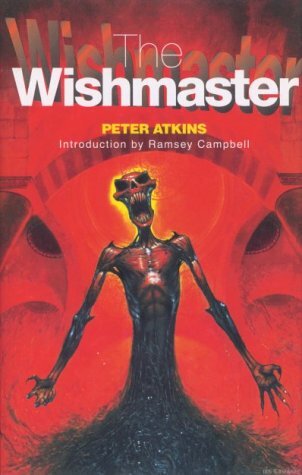 His short fiction has also Peter Atkins was a founder member of The Dog Company, a 1970s avant-garde theatre group, along with Clive Barker and Doug Bradley- with whom he would later work on the Hellraiser movies. As well as his film and television work, he is the author of the novels Morningstar, Big Thunder, and Moontown, and the collections Wishmaster and Others, and Rumours of the Marvellous. His short fiction has also appeared in such anthologies as The Museum of Horrors, Dark Delicacies II, and Hellbound Hearts, and magazines such as Weird Tales, The Magazine of Fantasy & Science Fiction, Postscripts, and Cemetery Dance. He is married to Dana Middleton and lives in Los Angeles, California.